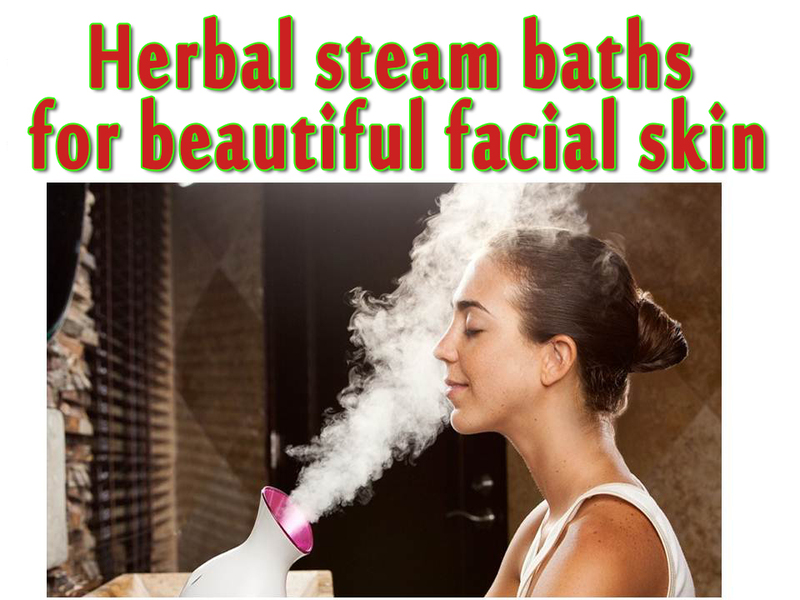 Herbal steam baths for beautiful facial skin without the intervention of a cosmetician. To maintain the good look of the person we do not always find the right time. Even if we visit a beautician, it is once or twice a month, so in the rest of the time we have to take care of our own skin. Facial Cleansing with a Steam BathBy the appropriate facial cosmetics – creams, cleansers, lotions, make-up agents, and so on. it is desirable to spend time on beauty treatments at home. A good time for this is the weekend – you can relax and indulge in relaxing procedures as well as take care of your appearance and in particular the facial skin. I will offer you several varieties of facial steam baths with a herbal palette – the recipes are tested and suggested by our herbalists and healers. Steam bath dissolves pores, softens skin, cleanses, regenerates cells. Combine the steam bath with this beauty kit, which includes face mask and peel. Before using the steam bath, use the peel to remove the dead cells and then make the mask after the steam bath. Mix together in equal parts chamomile, lime color, mint leaves, willow leaves and oak bark. One tablespoon of this mixture is placed in a wide-bore vessel, poured with 2 liters of cold water and allowed to boil. After steam has been obtained, the well-washed face is bent over the container at about 20 cm in length, the head and the container covered with a towel. After 12-15 minutes, the face is rinsed with lukewarm water. Steam bath is applied once a week. Place two tall salsa (sage) in a bowl with 2 liters of boiling water. The face leans over the vessel as described above. The steam bath lasts 15 minutes. A third version of a steam bath to clean the pores and facial skin. Mix equal parts of rosemary, chamomile, wild chestnuts, birch leaves, lime color. Take a tablespoon of herbs, put it in a bowl, pour 2 liters of cold water and let it boil. The face stays above the steam for 8 to 10 minutes. Do not advise at home to squeeze black spots and pimples, use baking soda to rub the face or a proper scrub. Spray with lukewarm water and apply a suitable moisturizing cream. As an added bonus you can also make an easy mask that will make your lips soft smooth. 1 teaspoon of yoghurt and a little lemon juice are mixed and the lips are smeared. As the dry is washed – you will be surprised by the result. You can also smear with honey – keep as much as you can. After the care you put on your face, you can indulge in a relaxed relaxation – relax your body, play quiet music or meditate, it will help clear your mind and body and will look good on your appearance.